This lounge chair is simply luxurious. 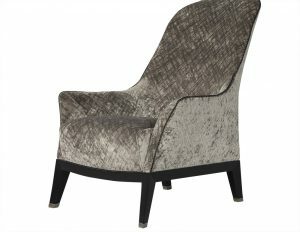 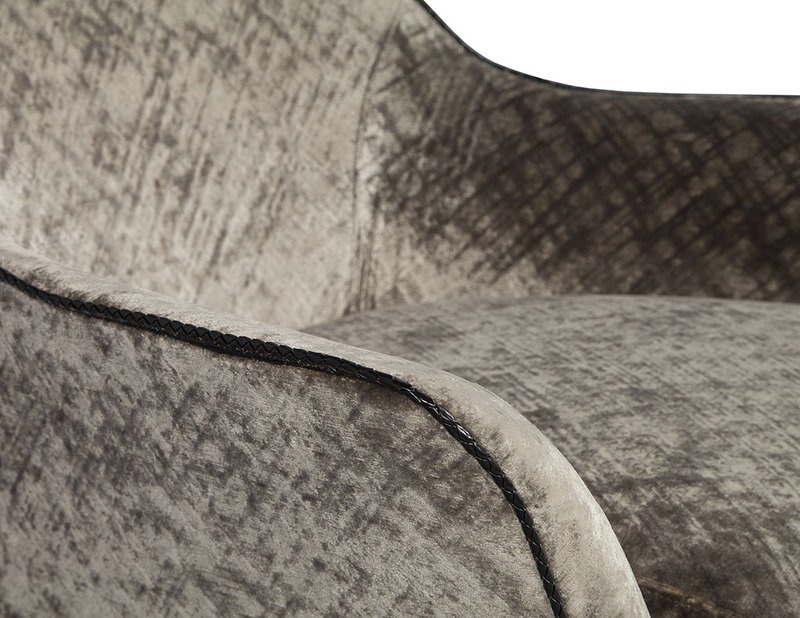 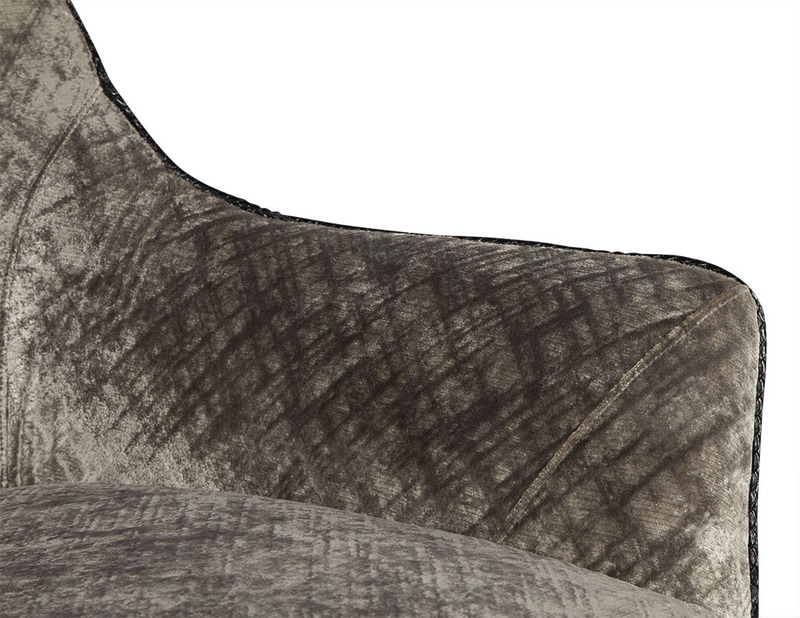 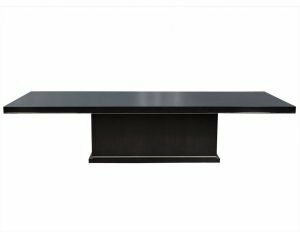 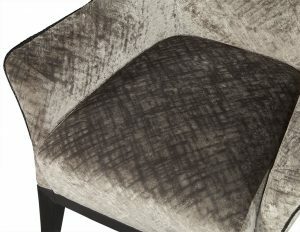 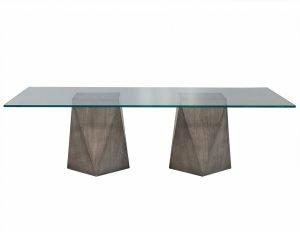 Curved armrests, braided leather piping on the edges, and a black wood base sitting atop angled legs with silver feet tips. 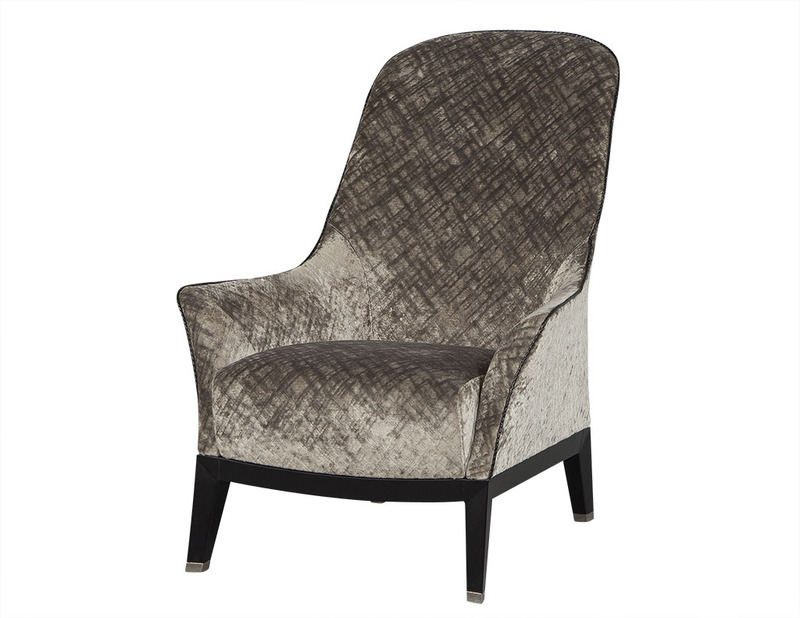 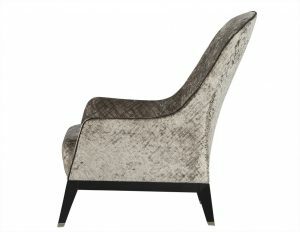 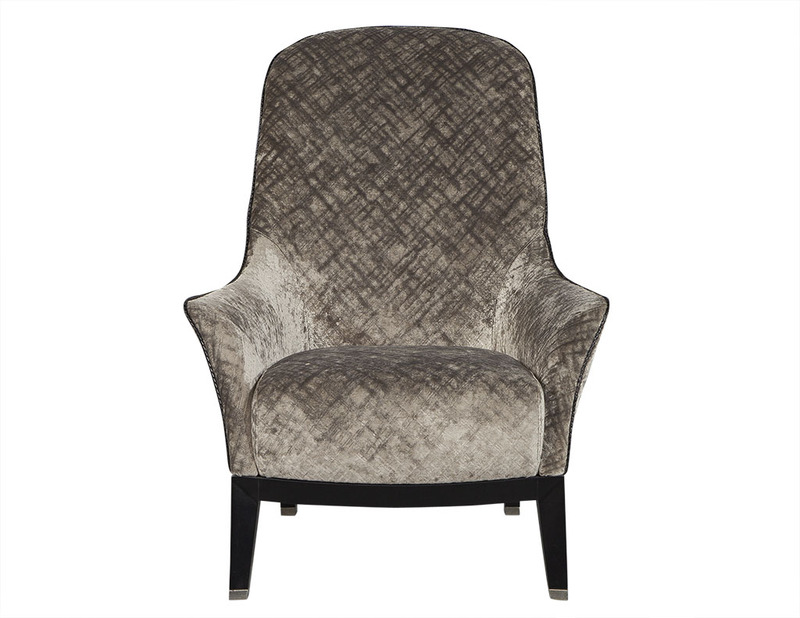 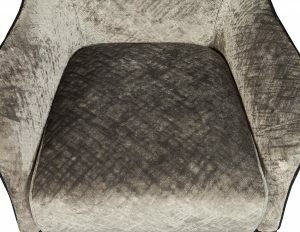 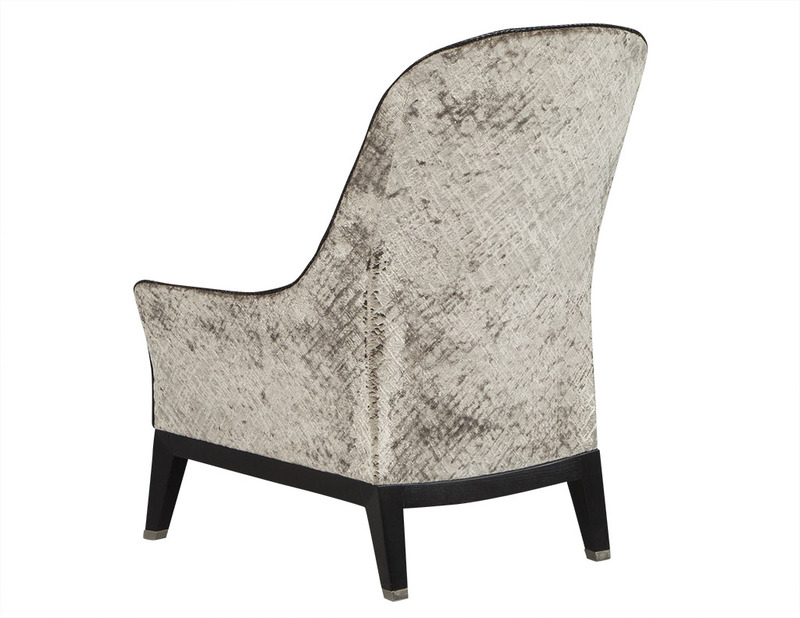 Newly reupholstered, this chair is a true lesson in contrast, and perfect for a bold home.